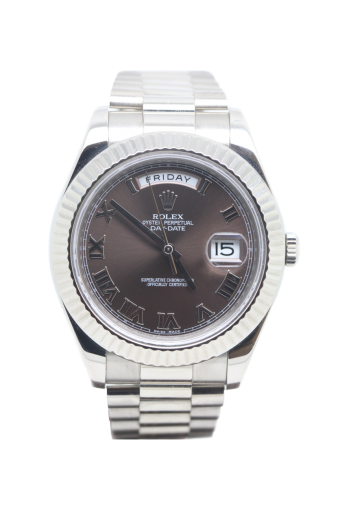 This stunning pre owned Rolex Daydate with both day and date functions. The 41mm watch case and president bracelet are 18ct white gold whilst the dial is chocolate with white gold roman numerals. The Cheshire Watch Company are supplying this watch complete with box.